Although I know longer work at this service! 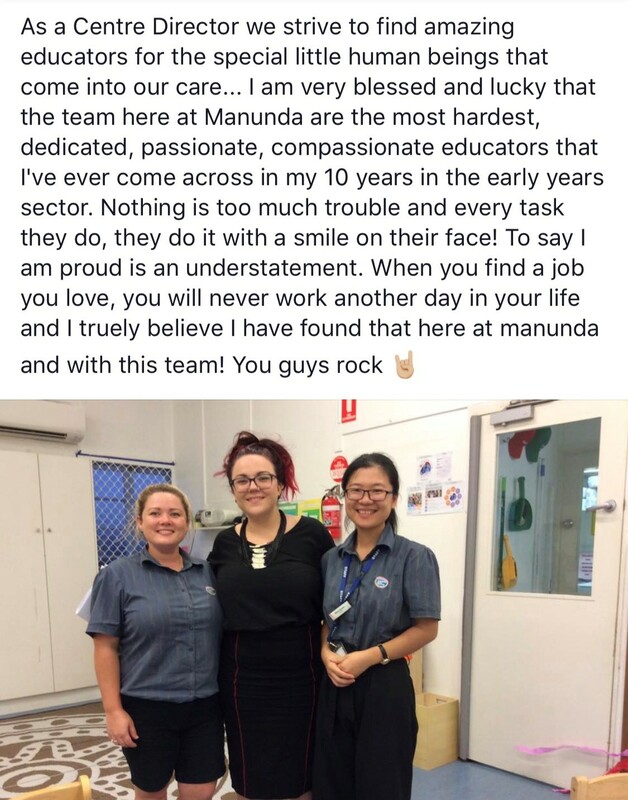 I am still a huge advocate for the staff at Goodstart Manunda! 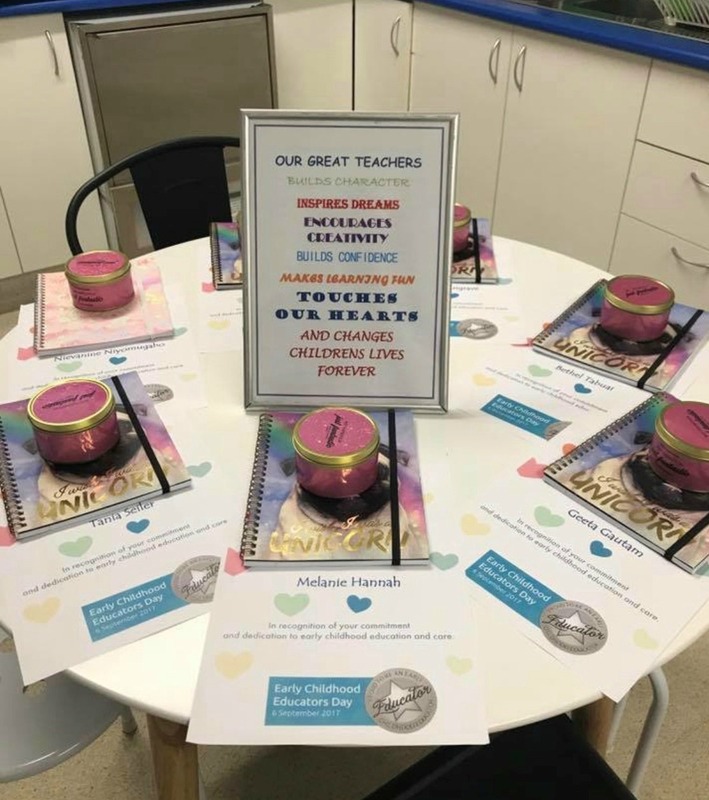 They work hard and are completely and utterly dedicated to their early childhood careers! 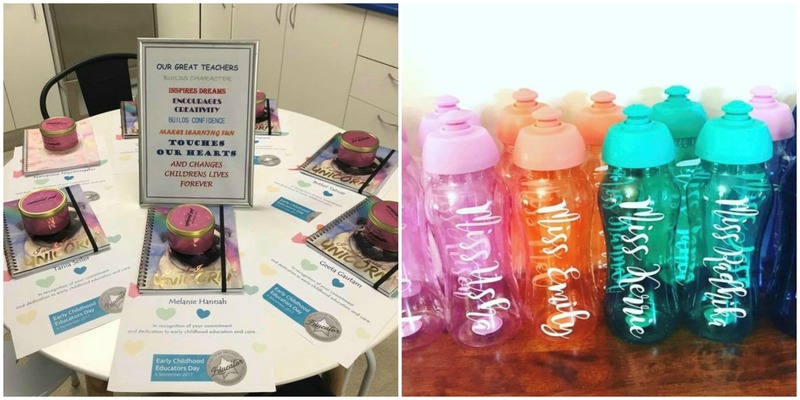 Each educator was presented with a personalised drink bottle, a unicorn note pad, a certificate and a scented candle! The drink bottles helped to encourage the children to drink lots of water and what better way to do that than to role model and show families how important it is to label our belongings! 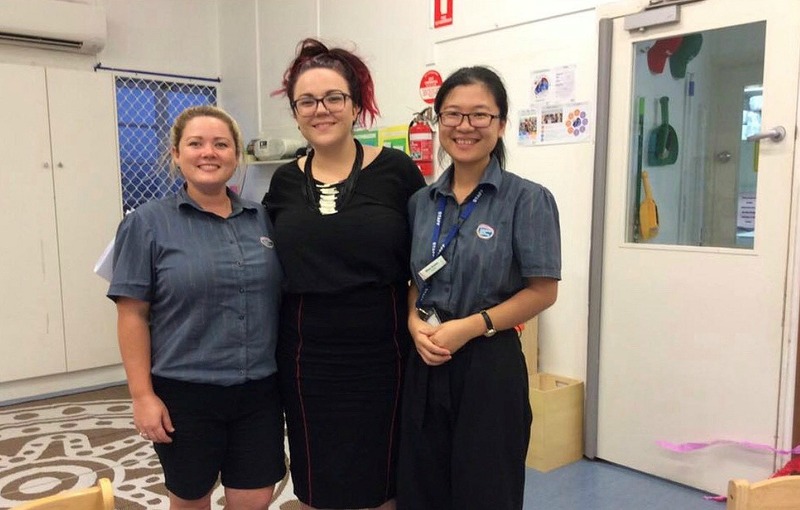 Now at my new service Dreamtimes Childcare I am implementing some of the core values and practices that the staff taught me and feel I am just as lucky as I was at Goodstart Manunda as I now have the privilege of leading a new incredible team! As a centre director you never stop learning and somedays your staff will blow you away by their commitment and teach you a thing or two! Being a director isn’t just overseeing and running a centre it’s, role modelling and leading and inspiring your team to be better! anyone can be a centre Director but you have to have an amazing team who respect you and look to you to lead and inspire them and most of all appreciate them!